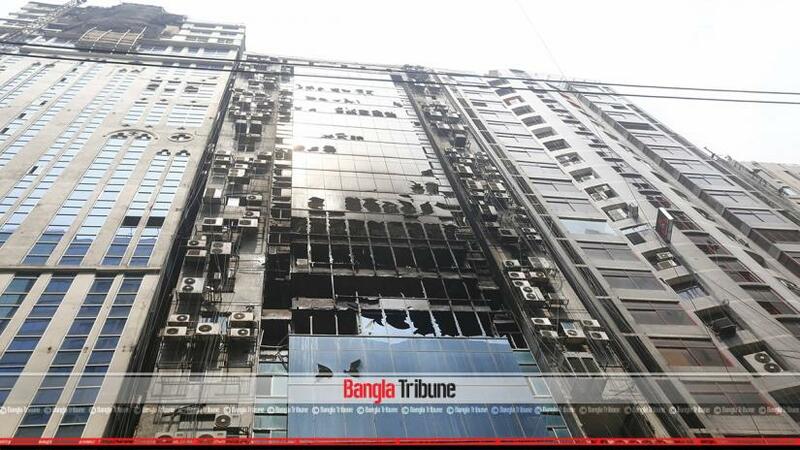 The massive fire that gutted Banani’s FR Tower rattled the Dhaka city development authority, after which it launched special drive into the high rise buildings (over 10-storey) in the capital. Rajdhani Unnayan Kartripakkha (RAJUK) undertook the task of investigating the irregularities and faults in the buildings on the directive of Housing and Public Works Minister SM Rezaul Kabir. Sources, said that RAJUK was supposed to submit the probe report on the multi-storied buildings by Apr 15 but had failed to do so on account of not being able to collect information on nearly half of them. As a matter of fact, the 28 probe teams who have been working since Apr1 have been able to collect information on 1,813 multi-storied buildings out of the nearly 3,500.  Check whether the building was constructed in adherence to the RAJUK plan and also collect additional information including the engineer’s name, registration number amongst other things.  The extent of irregularities and violation of building plan if there were any.  Whether the building was being used as per the approved plan i.e if residential buildings were being used as commercial ones.  If the buildings had clearance from the Fire Service and whether RAJUK checked it after construction. Meanwhile, a meeting took place in Monday (Apr 15) to scrutinise the information on these 1,813 buildings even further. “Irregularities were found in most of the buildings but we are not yet sure how much,” said RAJUK Director (Administration) Khandaker Aliur Rahman. According to a survey by RAJUK, there are more than 2.2 million in the zones under RAJUK’s jurisdiction. Amongst them 84 percent are one-storied buildings while 3,273 are over 10-storied. A RAJUK official wishing to remain anonymous said that the information will be handed to the public works minister.